Most casual golfers who experience pain assume that the cause is a bad swing and while this may be the case, it’s more often than not a result of weakness and inflexibility. Golf requires sudden moments of exertion and it’s almost a completely one side game: players swing 75-100 times from one side of the body, which can lead to muscles imbalances and repetitive strain injuries. As such, it’s important to do exercises to lessen the chances of injury and loosen your hips, stabilise your shoulders, and help build strength in your swing. This improves your rotational mobility, a key aspect of your swing. Tip: Be sure to initiate the movement with your shoulder blades, not your arms. This helps prevent ‘golfers elbow’ and reduce the risk of shoulder injury. This opens up your shoulders, building flexibility and mobility. 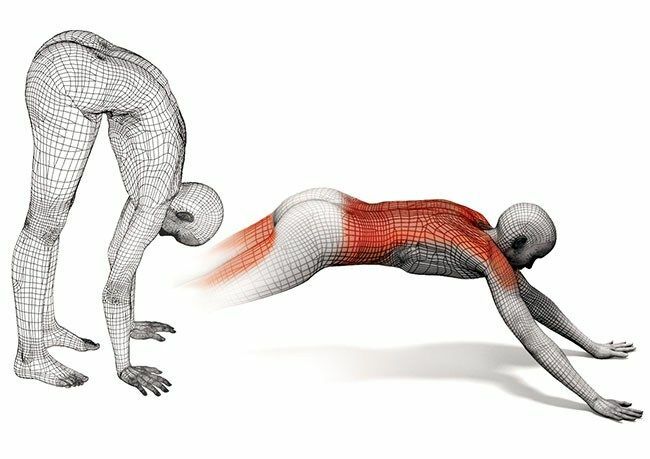 This opens up the hips, preventing back pain. Top tip: Be sure to keep your head in line with your spine, not sagging or bending.